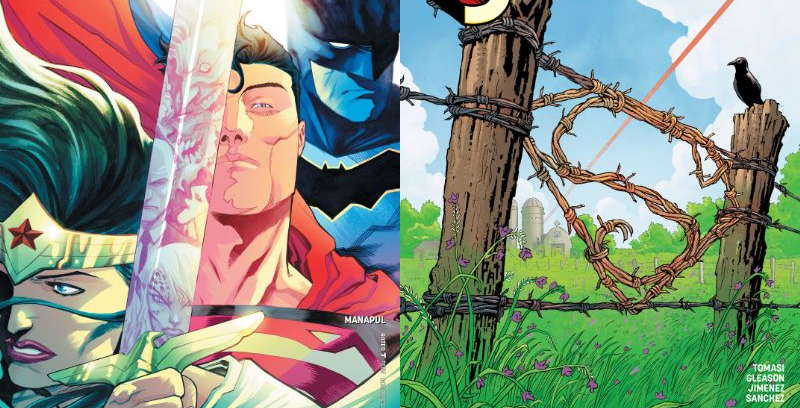 When DC Rebirth’s Trinity series was announced, what did you immediately expect from it? You know, aside from amazing artwork, because that’s obvious whenever Francis Manapul is attached to a project. The excellent cover revealed the three iconic heroes (Wonder Woman, Superman, Batman) and several villains reflecting in Diana’s sword. I don’t know about you, but when you have a comic featuring DC’s Trinity, part of me was expecting an epic blockbuster. After all, how many times have we seen these classic heroes save the world? It’s basically what we’ve come to expect at this point. I purposely avoided previews – I wanted to go into this one totally fresh. Would this be just like the many other team-up stories that started with pure action and set incredibly high stakes? Much to my surprise, that isn’t what happened… not even close. Instead of having another end of the world scenario, Trinity #1 focuses purely on the three heroes, Superboy (congrats on the new title, Jon), and Lois. There isn’t some threat that randomly appears for a big action scene. There isn’t a scene dedicated to some evil person monologuing about their grand plan. I mean, how much do you really care about these characters if they’re just thrown into big fight scenes and put in danger without really getting a chance to connect to them in the actual story? Yes, all of these characters have years and years of history, but the story has to make you feel emotionally connected, too. Well, writer and artist Francis Manapul totally defied my expectations by delivering an issue that’s simply full of heart, a little bit of humor, and just the right amount of mystery. This may be the Trinity you know and love, but technically, this isn’t the Superman Diana and Bruce worked with in the New 52 (read Lois and Clark and DC Rebirth Superman for more information). You need to see these characters bond, even if it’s just briefly, and that’s exactly what Manapul apparently wanted to accomplish with this issue. The goal apparently isn’t to show them as these larger than life heroes, but to instead show that superhero comics can offer so much more than people in capes and tights punching evildoers. 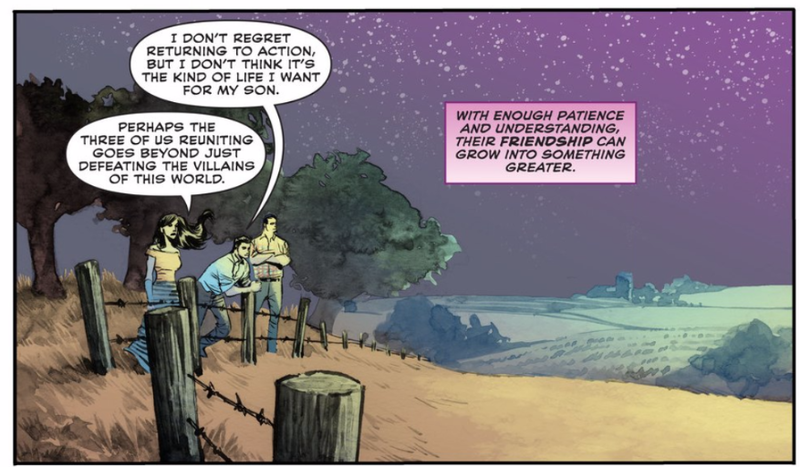 Trinity #1 is humanizing, heartfelt, and absolutely gorgeous. The title’s off to a terrific start. 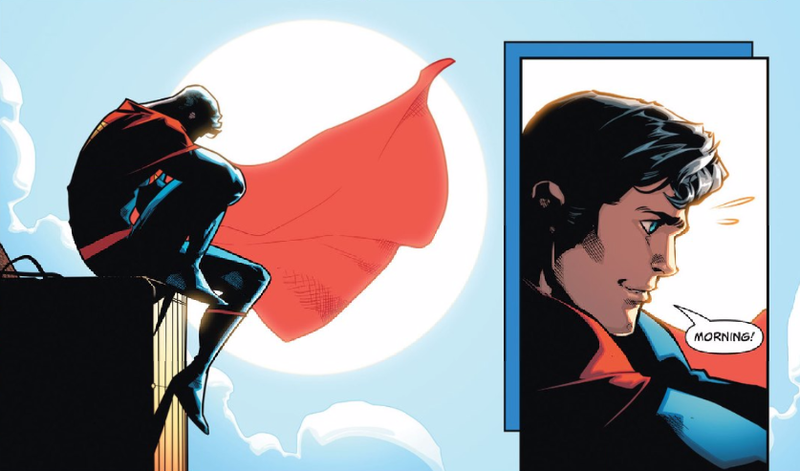 To top it off, the other new Man of Steel comic, Superman #7, was another dose of pure joy. Just like Trinity #1, it focuses on a more intimate and fun story instead of going for something big and dangerous. Can Clark simply be a father and husband as his family enjoys some time at a local fair? 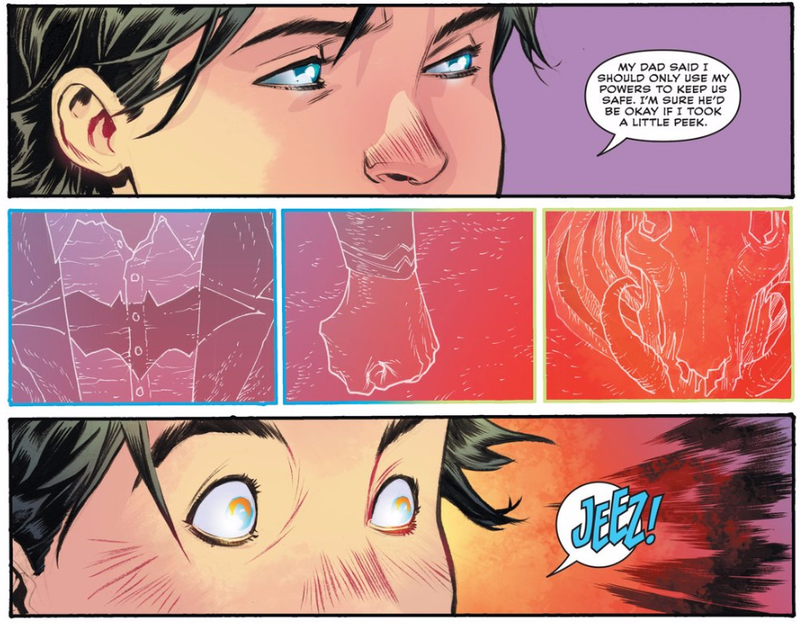 If you’ve read the New 52 Batman & Robin run, you know Peter J. Tomasi and Patrick Gleason are amazing at delivering some moving father and son moments. Thankfully, Jorge Jimenez and Alejandro Sanchez’s visuals are the perfect fit for this kind of story. I spent so much time looking at the above panel of Superman sitting on a rooftop and the gorgeous two page spread that came before that page. The expressions are constantly spot on and the ending – which relies heavily on expressions – had me smiling. If you’re a fan of Big Blue, you really should check out both of these issues.